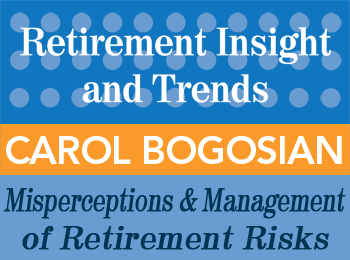 Carol Bogosian, ASA, EA, MAAA, President of CAB Consulting, is an expert in retirement risk. Carol has over 30 years of experience as an actuary providing advice on defined benefit and defined contribution pension plans and retirement planning issues. Her current interests are in improving financial education and literacy in the U.S.
Carol was a principal in a major consulting firm as a senior actuary and consultant providing retirement services to individuals and corporate clients before starting her own firm, CAB Consulting. She completed the Financial Planning Certificate program, gaining her perspective of the employee’s overall financial needs. She currently serves on the Pension Section Council and the Post Retirement Needs and Risk Committee of the Society of Actuaries and the Chicago Bar Associations’ Joint Task Force on Women and Aging. She also serves on the Employee Benefits Advisory Board for The John Marshall Law School. Carol has published articles for the Plan Sponsor Council of America and WISER. 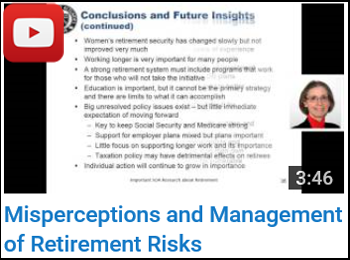 She has spoken at various professional associations on retirement and financial planning topics. Have Carol Bogosian speak at your event! Carol Bogosian is an experienced speaker and keynote presenter on topics pertaining to retirement income and investments analysis. Please contact us today via email or phone 847-686-0440 x102 if you would like to have Carol Bogosian present at your conference or appear at one of your events, or to receive a free voucher to view a sample of one of our speaker’s work.